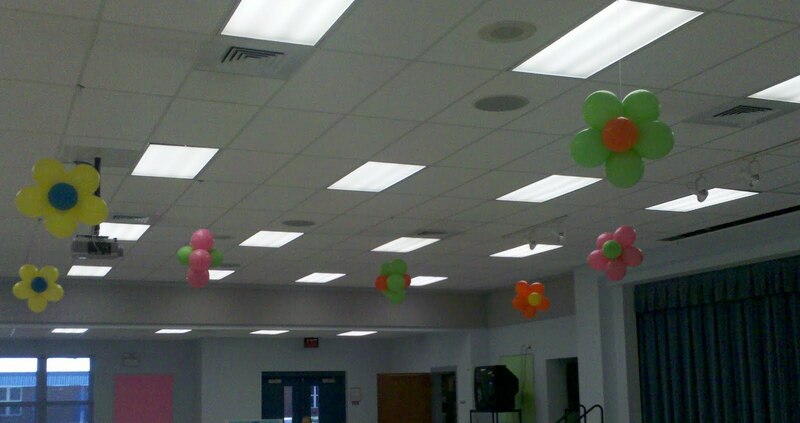 We created a Spring Garden for the school dance. 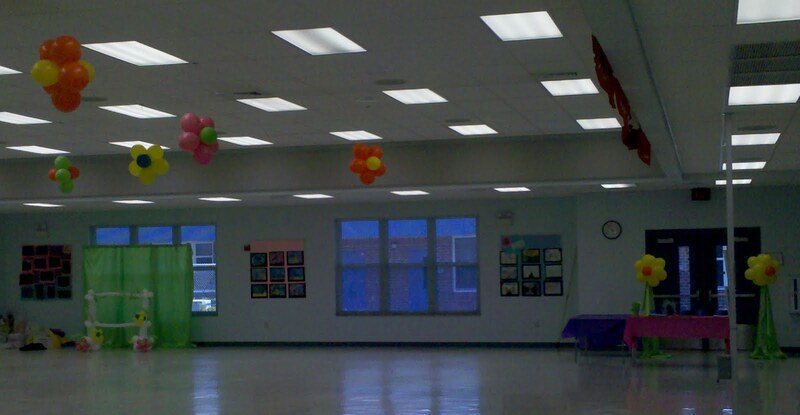 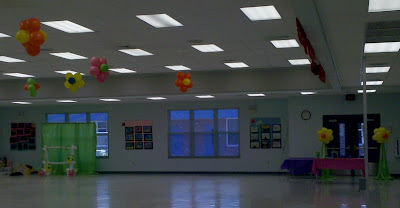 I enjoyed working with the Dr NE Roberts PTA who assisted me with the set up and take down to keep the balloon decor in their budget for the dance. 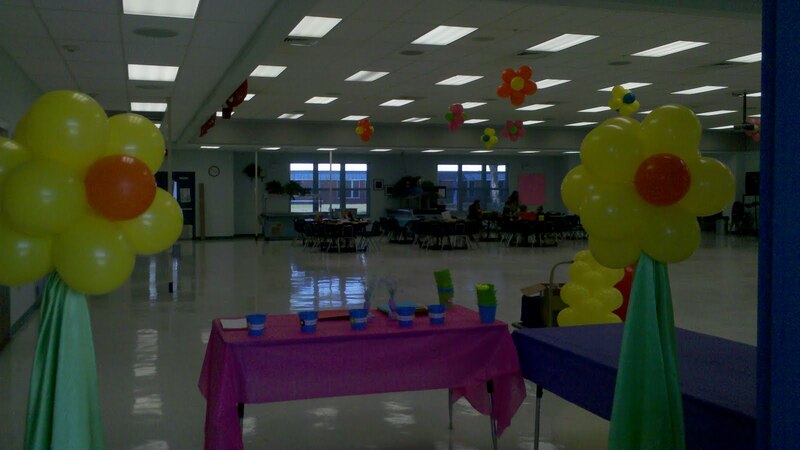 A large portion of our customers are non profit organizations and we understand that everyone has a budget. Let us know your budget and we will make suggestions of decor that will meet your budgets and create a fun atmoshphere. Yellow flowers on Lime Saten columns great the students as they enter the dance. 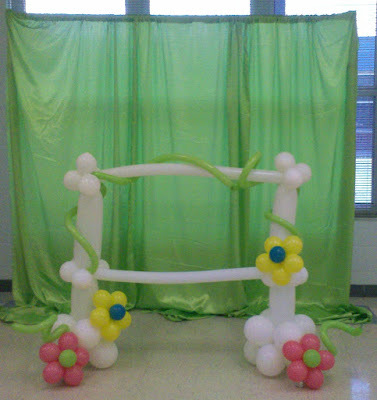 Lime Saten Pipe and Drape backdrop with balloon Garden Gate creates a Fun Photo Backdrop for this elementary school spring dance.